We are having a New Year Sale to make some space. Lots of one-off items reduced in price by up to 50%. Buy online or visit us at our Spitalfields store. 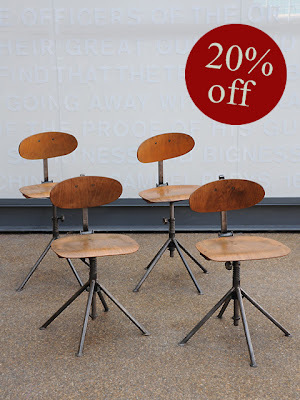 Ten of these fantastic factory chairs remaining. Swivelling and height adjustable seats. Polished steel frames and plywood seats. 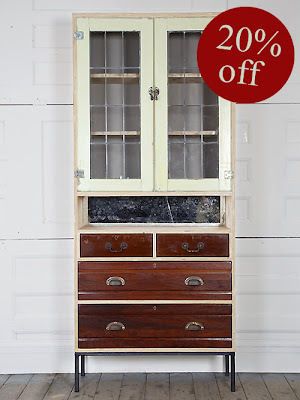 One of the last few pieces from Rupert Blanchard's upcycled collection of furniture. Lovingly put together and each piece unique. All now reduced. 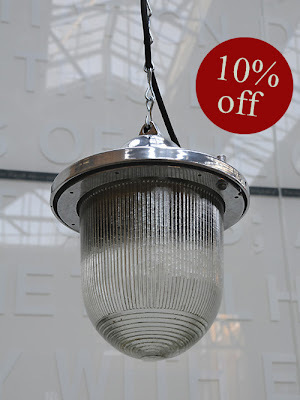 A courtesy reduction of 10% off from our current collection of vintage mining lamps. These beautifully refurbished lamps work very well as focal points clustered in groups or in small runs so enjoy this temporary special price. 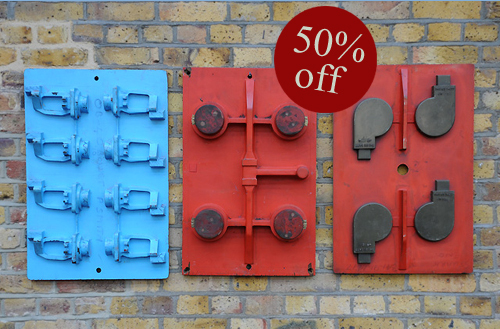 All of our remaining pattern moulds have been reduced by 50%. Great abstract sculpture with a pop-art feel to decorate your walls.